Probably The Best Taproom In The World. You like Beer. We Like Beer. We like Beer People. The Growler Garage, in the most simple terms, is a Taproom. However, it is so much more. It is a meeting place for likeminded, life loving people of all walks. It is a nebula for friendships. 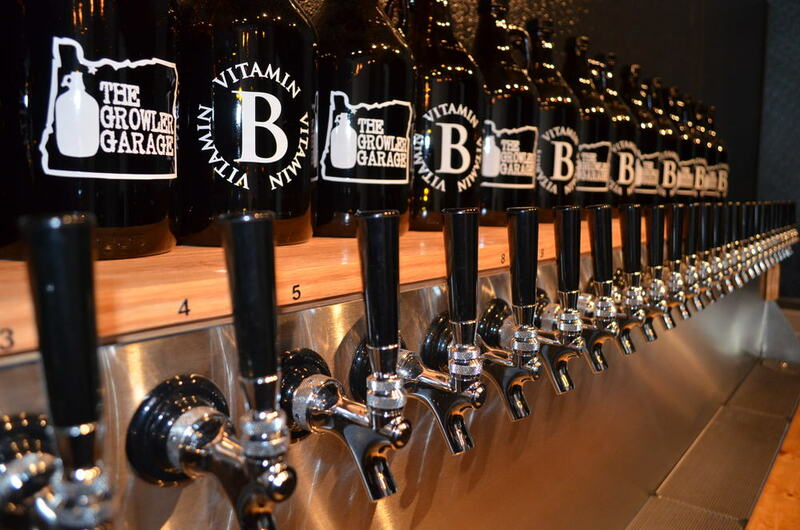 What The Growler Garage offers is 36 Taps of the best libations available. What The Growler Garage delivers is an environment comfortable for all to come and relax or unwind from the day. "Good people drink good beer, which is true then as now. Just look around any public barroom and you will see; bad people drink bad beer. Think about it." The Growler Garage has 36 Taps of cold cool libations. This affords us and our customers an amazing selection of Craft Brew, Hard Cider, Kombucha Tea and even a bit of Wine. Sorry, no cheese but you're welcome to bring your own!